Tampa Water Heaters – Should You Go Tankless? More and more homeowners are making the switch to tankless when it comes to their Tampa water heaters. Some people are still unsure about it; unaware of what it is or the benefits it may present. There are also some common misconceptions, like that it is too expensive. Truth is, like standard water heaters, there a variety of options coming in at different price ranges. In order to make a little more sense of it, why not find out some of the information you could use in order to make an informed decision. Of course from there it would be a good idea to then schedule an appointment with a reputable Tampa plumbing services expert to go over any additional questions you may have including reviewing your options from different brands and various price ranges. So why exactly should you consider a tankless water heater in Tampa? Eco-friendly – Because the tanless version is much more efficient they are better for the environment. Save some green – Go green while saving some green. Because they are more efficient this also means lower monthly utility bills. So even if you do invest a little more upfront for this upgrade you will make it back in the savings you see from your utility bills. Comfort and convenience – You and your family get the bonus of continuous hot water without having to worry about waiting for more hot water. Plus this is a real space saver and will make your life much easier. 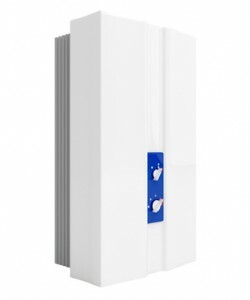 Longevity – Many of the options for these units include a 10-12 year warranty. Which means it is intended to easily last much longer than that. Safety – You can also feel better about the safety of a tankless water heater; they are equipped with features that are meant to prevent scalding water from ever reaching your faucet. If you are ready to consider this option for your home then it is time to give us a call. The experts here at 1st Choice Plumbing Solutions are fully trained on the various options available for a tankless choice and can help you to understand the advantages or answer questions. We can also come to your hoem and inspect your current water heater. The rule of thumb is that if repair costs are 50% or more of the current value of the unit then it makes more sense to replace it. We can advise you on whether you should consider repairs or replacement. For all of your inquiries about Tampa water heaters trust the 1st Choice Plumbing Solutions name. If you require the assistance of plumbing services in Tampa, please give us a call at 813-643-7556 or complete our online request form.